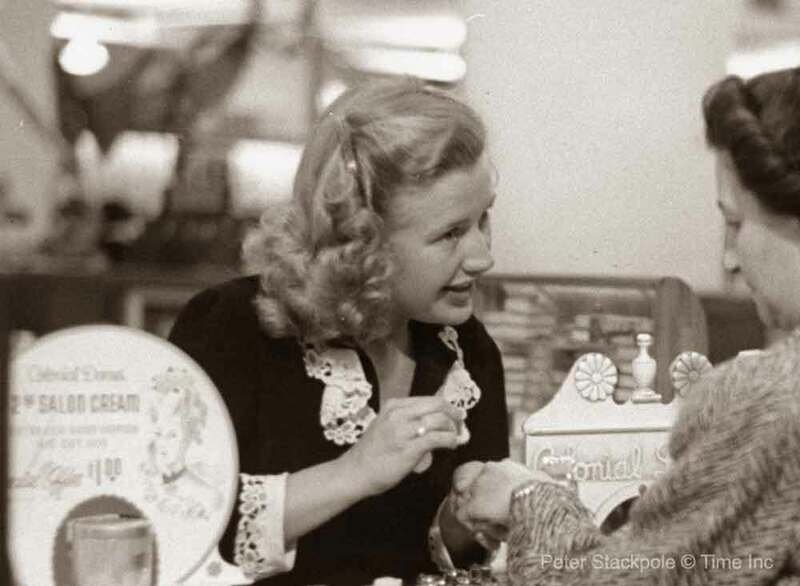 1940s Beauty – Priscilla Lane sells cosmetics for a day. In Million Dollar Baby – Priscilla Lane plays a department store salesgirl. To get first hand experience she spent a day incognito at Sears, Roebuck & Co’s big general department store in downtown Los Angeles. At 8.15 she punched in, went to the locker room to straighten her stockings and take off excess lipstick. She then reported to the cashier for $15 in change. 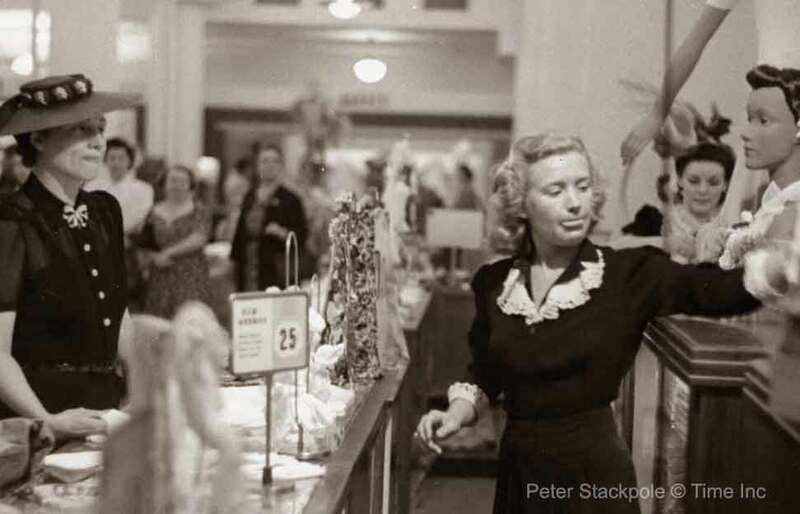 In the yardage department she sold ribbon, yarn, thread, safety pins and two sets of knitting needles, till an astonished customer recognised her. 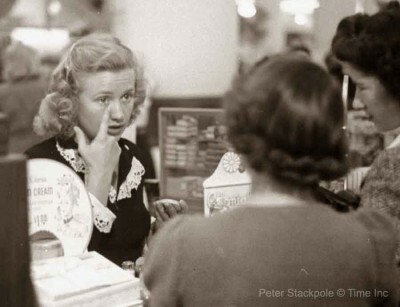 Amidst a flare-up of whispers and finger pointing, Priscilla was quickly transferred to the cosmetics counter where she proceeded to do an ace job in demonstrating lipsticks, powder, rouge and various face creams. ” I’m in my comfort zone here!” she laughs. Later the other Sears girls declared that she was adequately schooled to represent them on the big screen.